Thanks to Disneyland Public Relations, my family has been fortunate to be included in Disneyland’s annual Family Media Event. It’s sort of our new tradition now — spending a day at the happiest place on earth to jumpstart the Holiday Season. Above. 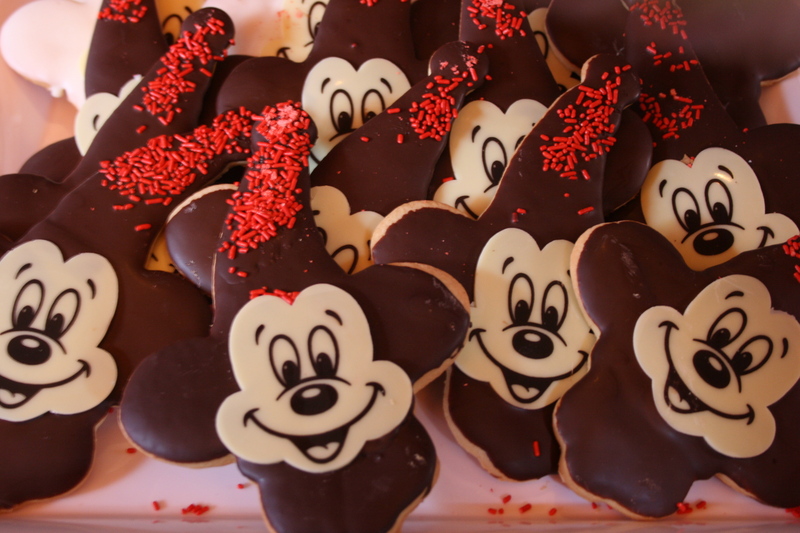 The spread included Mickey shaped soft pretzels, brownies, apples! Coffee, Tea, Hot Cocoa, and Hot Apple Cider. We all rode Indiana Jones together after waiting in line for nearly an hour. Luckily we were entertained by a couple of teenagers who were singing acapella and harmonizing like they were on Glee (in fact they sang the Glee version of Hey Soul Sister upon request). And then we split up — I take my 5 y.o. and my hubby takes our 9 y.o. They like to do the bigger rides like Space Mountain and the Matterhorn, while me and the younger are happy with Dumbo and the teacups. We all end up at “It’s a Small World” – “But it’s a tradition! 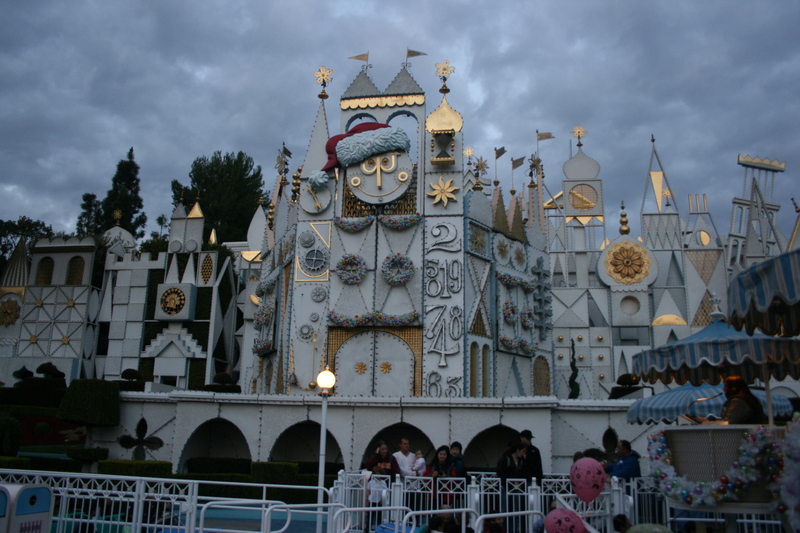 We did it last year,” my younger son says who is the picture of happiness while going through It’s a Small World. Whether it’s Disneyland or the beach or just lounging at home, I believe that Christmas is not about presents and parties. It is about family. What are your favorite holiday traditions? 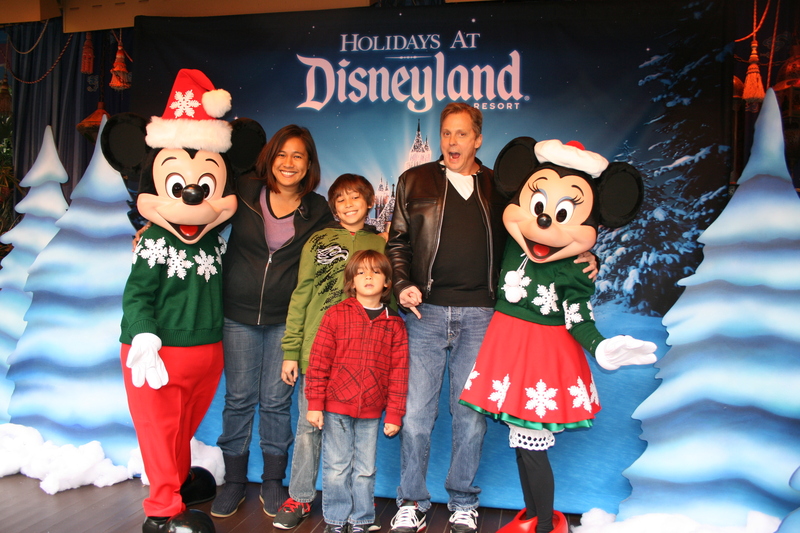 From my family to yours and Mickey and Minnie — Happy Holidays! Can’t make it to Disneyland? How about Disney on Ice? 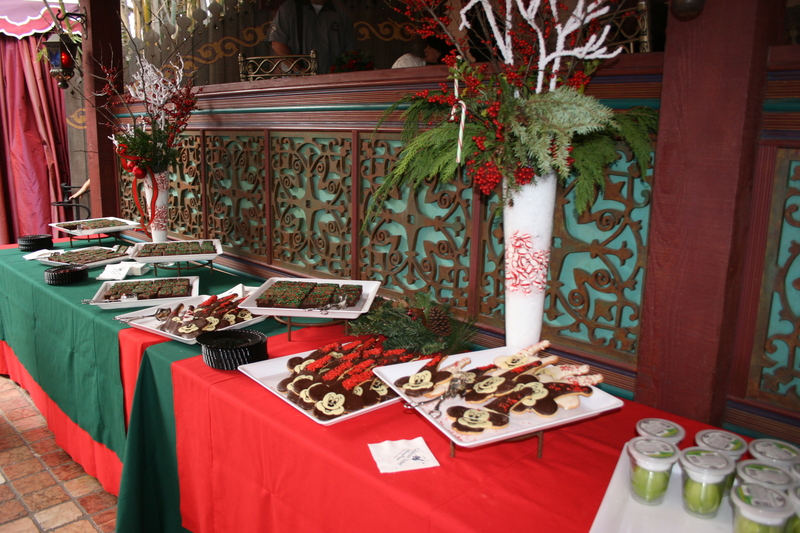 Here’s a link to last year’s Disney Christmas post. That would be fun! You should come to Disneyland! Hey, are you going to Social Media moms/Disneyworld event? So close to you.